If you just started using Amazon SES, you will start off in the Amazon Sandbox. You will not be able to send any Campaigns while in the Amazon Sandbox. 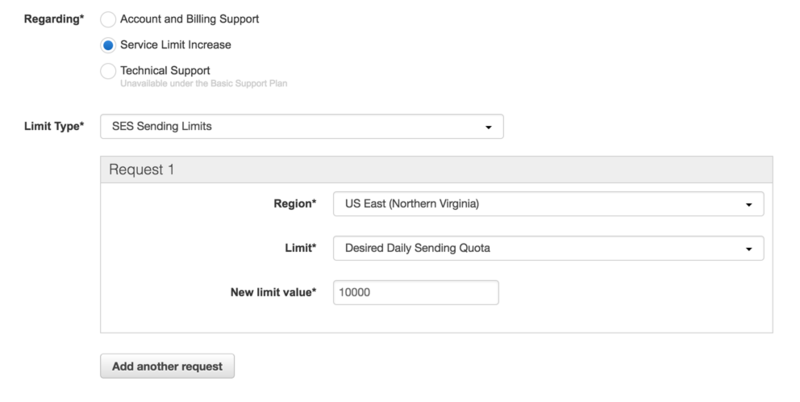 In order to move out of the Sandbox and enable production mode you need to request a Sending Limit Increase. Make a Daily Sending request based on the maximum number of emails you expect to be sending in a 24 hour period. Be realistic here as you can always come back to request an increase once you have an established history. Fill in the rest of the details based on your info. Be sure to read the AWS Service Terms and the Acceptable Use Policy since your use of Mailblast depends on your acceptance of these terms. Under User Case Description enter in details on what your expected use case is. Here is an example template. We will be using Amazon SES to send emails to our website subscribers after they opt-in to our newsletter. We intend to sending weekly updates with relevant content from our main site. The email will always have an unsubscribe link that they can request to be removed from our newsletter list. We are using mailblast.io as our delivery platform which handles and immediately removes any bounces, complaints and unsubscribes from our list. Kindly approve my request for Amazon SES production access in above mentioned region. Let me know if you have any question. The approval process can take up to 24 Hours and you should get an email confirmation when it is completed. 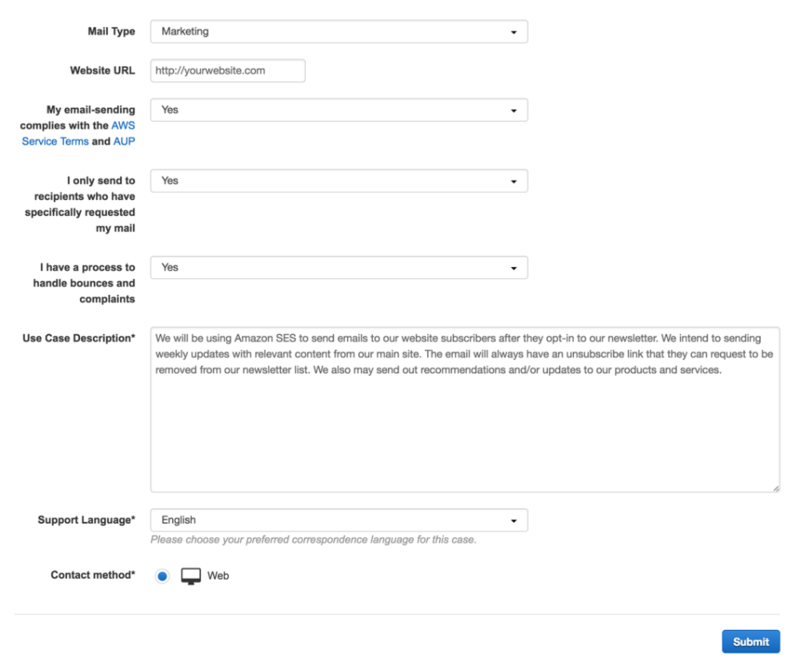 You will still able to create Lists/Templates and Campaigns in Mailblast while you wait.